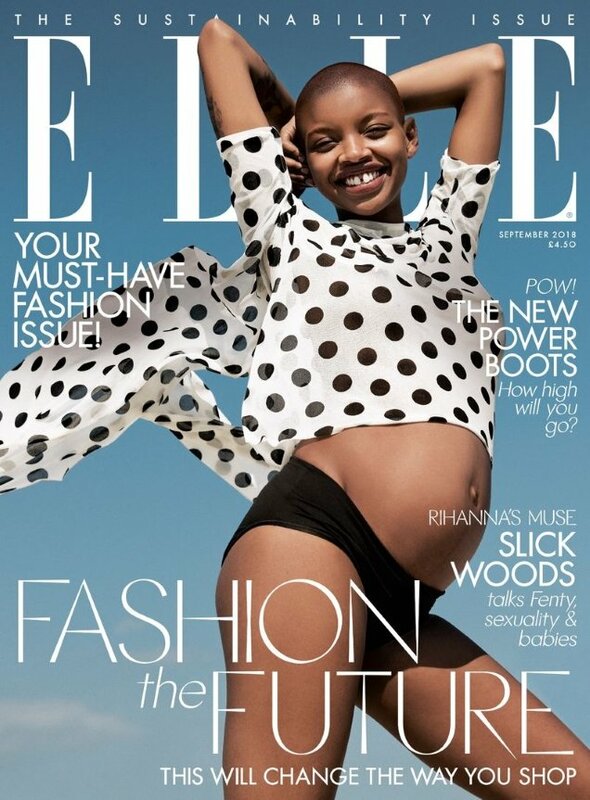 Your local newsstand is about to get a dash of diversity this September as British ELLE is the latest in a series of fashion magazines to feature women of color on the cover. 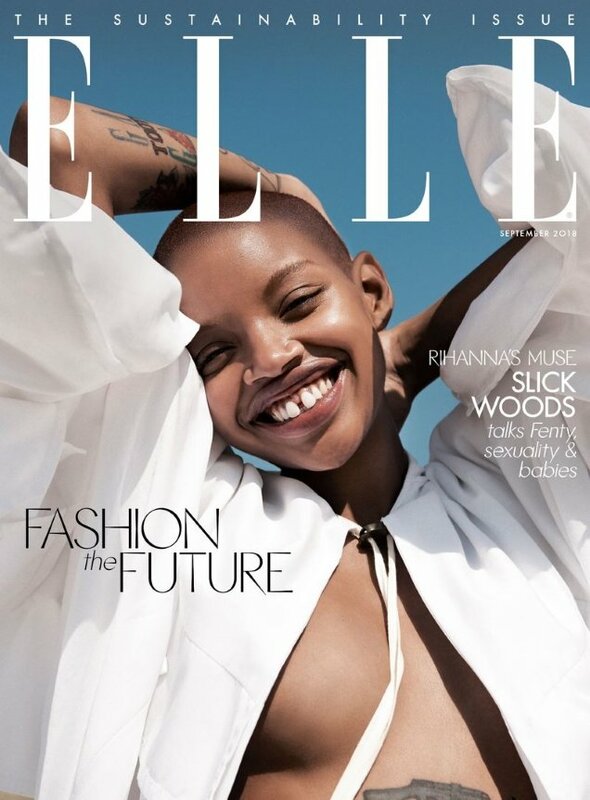 After the magazine’s last attempt at some diversity back in February completely bombed, Anne-Marie Curtis has another go and brilliantly welcomes Slick Woods as an ELLE UK cover girl for September 2018. The American model, best known for her unique features, proudly takes to the vibrant covers (reminiscent of last year) flaunting a very pregnant belly. Slick was photographed by Paola Kudacki, complete with styling from Anne Christensen. Despite the magazine’s best efforts to give us something different, our forum members weren’t fully on board with the outcome. “It’s an interesting shot. But I never got her appeal. And she seems so last year,” ranted mikel. “It looks more like an Instagram pregnancy announcement photo than a fashion magazine cover,” wrote dodencebt. “This could have been executed better. Cheap is an understatement. I get the concept. I like her. But this is a BIG NO,” MON added. “September used to be about fashion,” complained tigerrouge. But not everyone was unsatisfied. “I’m far from a Slick Woods fan, but I have to say I think the covers are lovely – it’s so nice to see her smiling rather than her usual moody glare and she really does exude joy in the photos. I’m not sure it’s right for September, but a good effort nonetheless,” praised 333101. “I like it! I’m impressed,” forum member Perickles said. “I have no idea who this girl is but she exudes such a warm, joyful confidence, which perfectly epitomizes ELLE magazine’s sun-drenched, carefree spirit of the 80s and 90s. Love the crisply captured movement in the tastefully flowing, transparent garment, and skillful interaction of model’s silhouette with the ELLE logo. And I’m always a sucker for an ear to ear, gap-toothed grin. This woman is a knockout,” said ellastica. Await more from Slick’s cover shoot and join the conversation here.